Yacht charter in the Philippines is one of the most popular holiday options for those who visit this beautiful country. No wonder that the Philippines is quickly becoming one of the world’s top sailing destinations, with over thousands kilometres of coastline and more than 7000 islands scattered around. 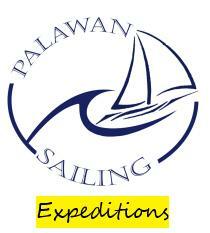 Palawan Sailing offers single day/multi day expeditions from El Nido to several destinations in the Philippines famous for their natural beauty and off traditional tourist places.